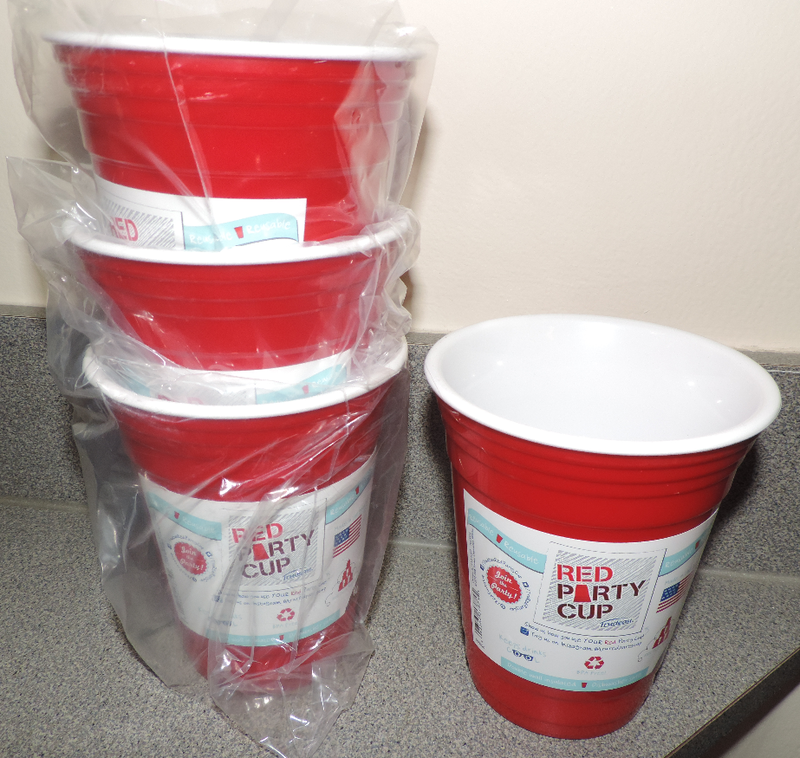 Mail4Rosey: A Party Cup You Don't Throw Away! Every once in awhile you come across something that really tickles your fancy. Today, for me, that was the Red Party Cup from Trudeau. Now granted, my idea of a party usually involves cake and ice cream, but just the same, these cups are cool. Why? Because they look exactly like the red disposable cups that so many people buy and use, but they’re not. They’re real drinking cups! These solid plastic cups are BPA-free, made in the USA, and though they’re going to last for a very long time, they’re also able to be recycled when their time in your house is through. That makes them not only cute, but also handy, practical and better for the environment too. Trudeau’s Red Party Cup is anything but disposable.....it's a cup for all occasions!! Though it’s similar in look to the iconic disposable plastic cup, once the Red Party Cup is literally in-hand, the “a-ha” moment strikes. The 16 oz., party approved cup is sturdy; being double wall insulated and will keep your drinks colder, longer. Being eco-friendly is no longer a trend, it is a lifestyle. So join the party, be responsible and start using the reusable cup. Made entirely in the USA!! Eco-Friendly - the greenest red cup there is! MADE ENTIRELY IN THE USA!! You can learn more about these by visiting the Trudeau website. You can also follow them on Facebook and/or Twitter. I bet people are surprised when they pick them up! What fun. And less disposables is always a plus. I see these everywhere these days. I know many people that would love to have these at their house. I'd like these! I'm all for reusable things. I love the looks of mason jars, and the red cup. I have a few of those and really like them. My older kids drink out of them all the time. Red cups are synonymous with parties anymore! This is such a great idea to reduce waste. I actually saw these for the first time the other day! I think they are neat for people who do a lot of entertaining. These are nice cups. I have a few that I use when the girls come over to hang out. These are pretty cool. They're definitely perfect for bringing out at a party. This is a great idea. I will have to pick some up for the summer. These are nice. I'll remember this the next time I need to buy party cups. These are great party cups! It minimizes the number of garbage after a party. I would love to have these. I love it and I bet Toby Keith would also approve! These party cups are great to have around the house and economical too. I love that they are sturdy for using over and over again. Saves a lot of money right there. I love this idea and love cups like these for parties. It's great that they are so friendly towards the environment. This sounds a good party cup to have at home. Will check more information about them. Really cool!